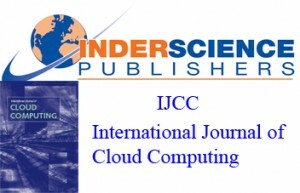 Cloud computing has emerged as a popular computing model, with numerous advantages both to end users and providers. The obvious huge advantage is that customers can outsource their infrastructures and benefit of the best technologies and characteristics at low costs. The cost benefits offered by cloud technologies is one of the major reasons that stimulate the growth of cloud computing in many industries. In few years, cloud computing’s acceptance from enterprises is increasing but businesses are now finding that there is a number of issues related to technology, resources, management, quality of service and security that have to be addressed when venturing into the cloud. With fast growing in advance of big data science, analytics and technology, big data is a key enabler of exploring business insights, economics of services and help professionals to reduce risks with facilities to take decision. BDCA’15 (Big Data, Cloud and Applications) created to provide an excellent meeting for researchers, industry and domain experts to exchange the latest advances in Big Data and Cloud Computing as well as their experience, knowledge and synergy. BDCA’15 will be held at National School of Applied Sciences(ENSA), Tetuan, Morocco on May 25th and 26th 2015. • Vous êtes Ingenieur, alors, pensez Labview!